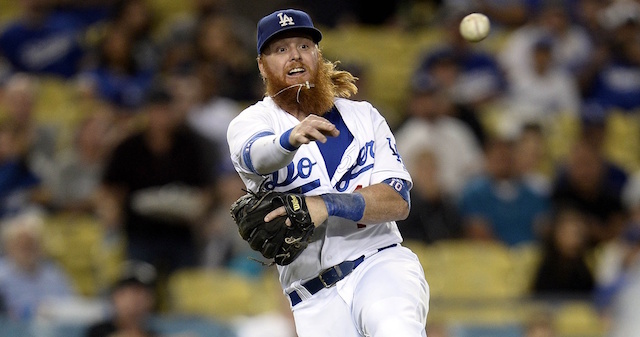 Justin Turner developed into a star after he was non-tendered by the New York Mets and signed a Minor League contract with the Los Angeles Dodgers prior to the 2014 season. His play led to Turner re-signing with the club on a four-year, $64 million contract last winter. Not one to rest on his accomplishments, Turner earned his way to a first career All-Star Game last season. And now, heading into the 2018 season, he was ranked the fourth-best third baseman by MLB Network’s The Shredder. Turner placed No. 5 on the list last year. MLB Network’s Brian Kenny and Mike Lowell also included Turner on their top 10 lists, with Kenny ranking him fourth while Lowell put Turner at No. 5. 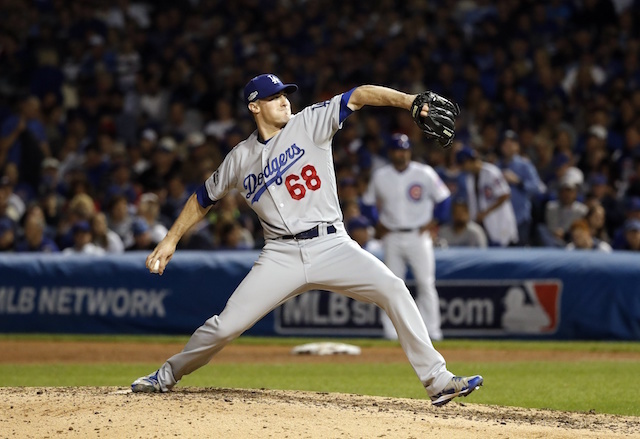 They view Turner as a better player than ESPN does, as Buster Olney recent ranked Turner No. 7 among players at his position. 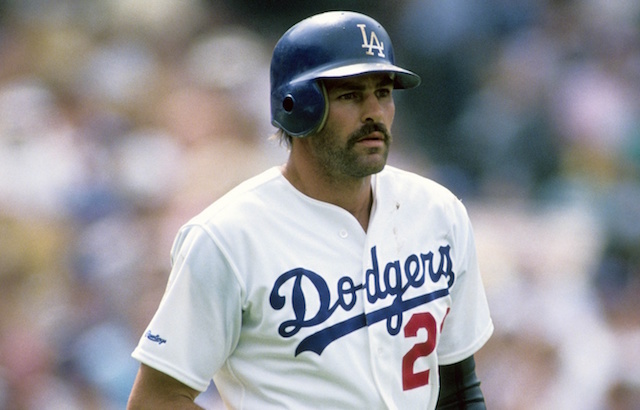 Lowell, who played third base himself in his 13-year big league career, had high praise for Turner and his ability on both sides of the ball. “From a metrics standpoint, it was his best season on-base percentage and slugging-wise,” Lowell said. 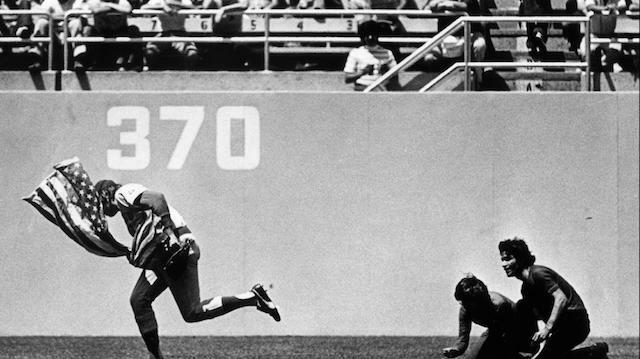 Turner seemed to come up big for the Dodgers on the biggest of stages, with one example being his walk-off home run in Game 2 of the National League Championship Series against the Chicago Cubs. Lowell also pointed to that aspect of Turner’s game, in addition to how far he has come since being released by the Mets. “I just like the story with this guy, he has a flair for the dramatic, his postseason heroics we’ve seen. And this was a guy who was non-tendered by the Mets, it’s not like he was a No. 1 pick and just destined for greatness coming out of the draft,” Lowell said. Turner is coming off one of the best seasons of his career, as he finished with the third-highest batting averaging in the NL, hitting .322/.415/.530 with 21 home runs and 71 RBIs. In his four seasons with the Dodgers, Turner has hit .303/.378/.502 with 113 doubles, 71 home runs and 264 RBIs in 516 games, establishing himself as one of the best players in the game at the hot corner.